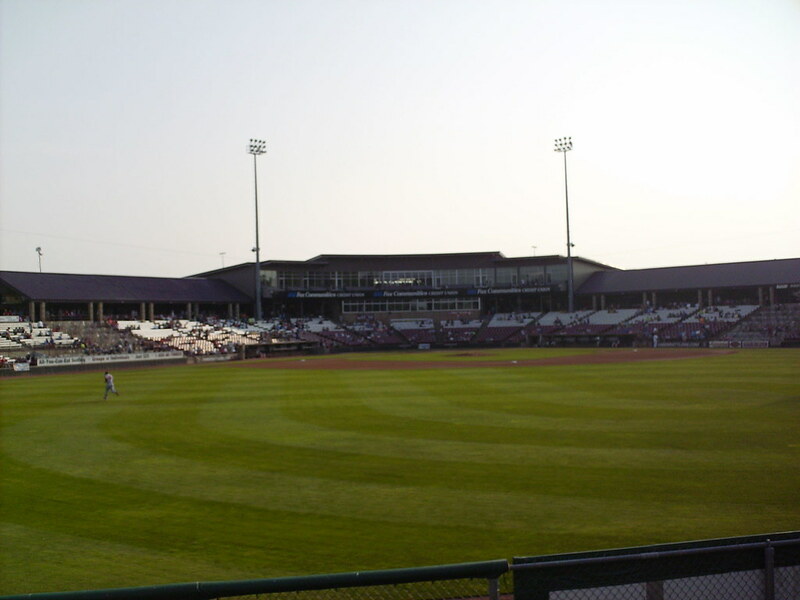 The view from behind home plate at Fox Cities Stadium. 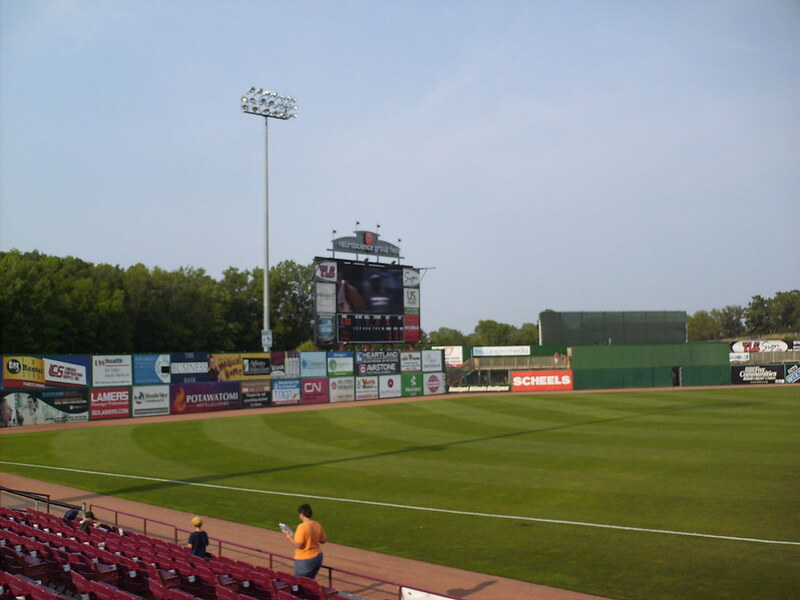 The grandstand at Fox Cities Stadium, as seen from center field. 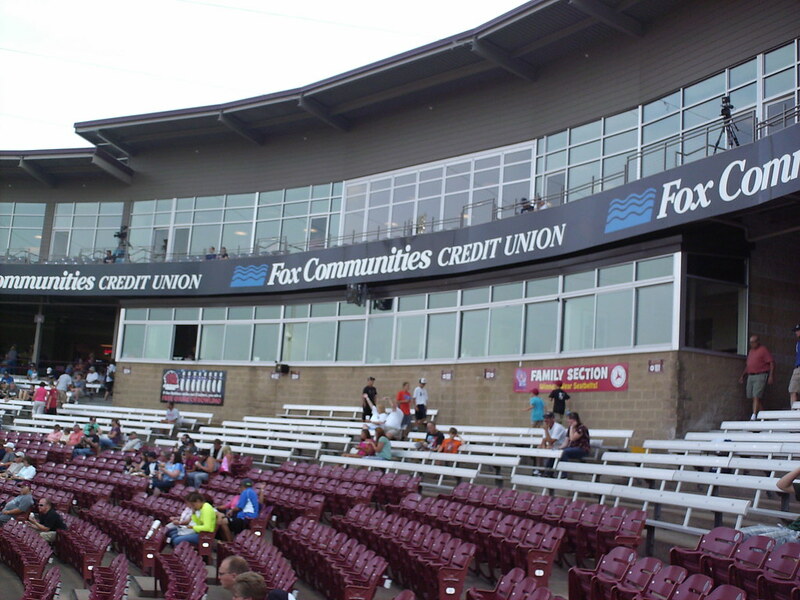 The pressbox sits at concourse level, with luxury suites making up the entire top deck. 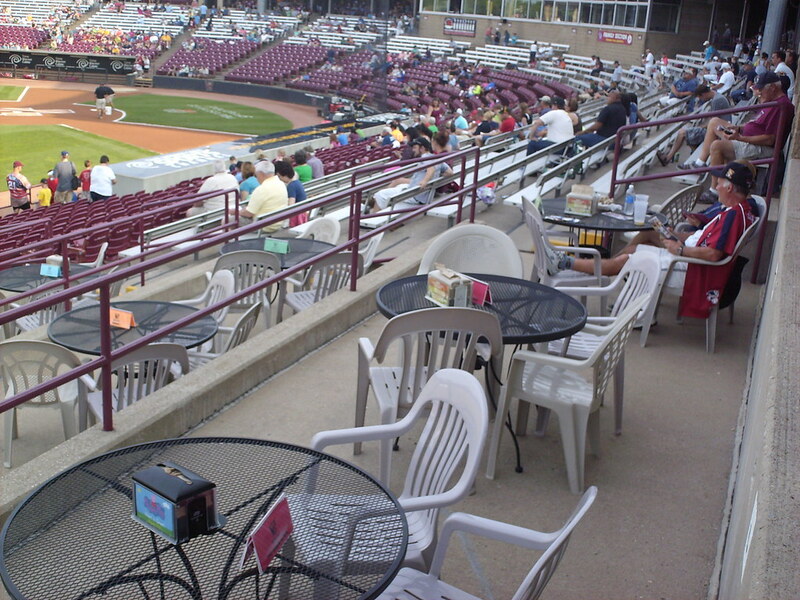 A section of table seating sits at the end of the third base side of the grandstand. 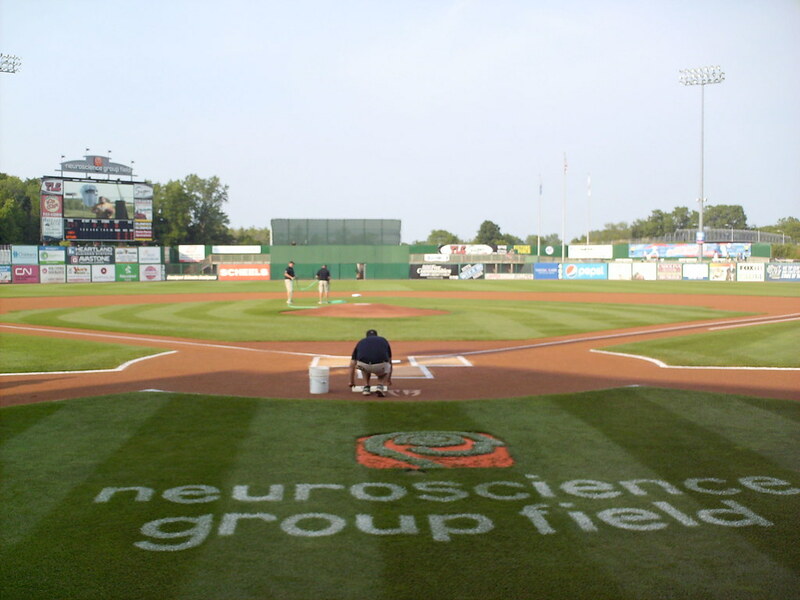 Group seating at the bottom of the first base side of the grandstand. 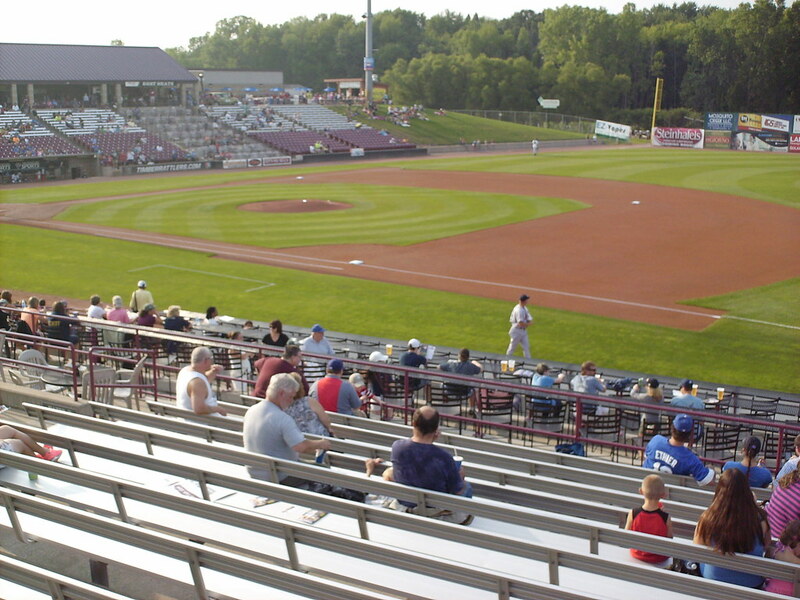 The main seating bowl is aluminum bleachers on top with red fold down seats closer to the field. 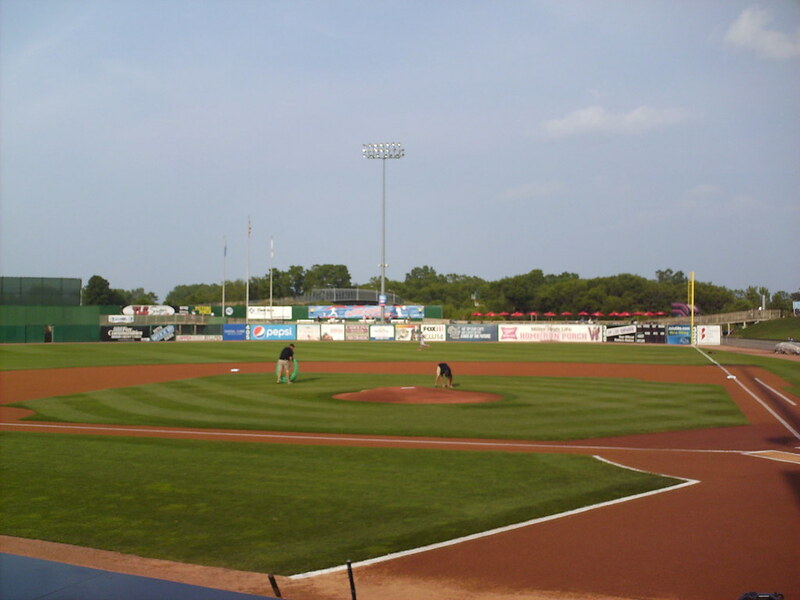 Berm seating in the right field corner. 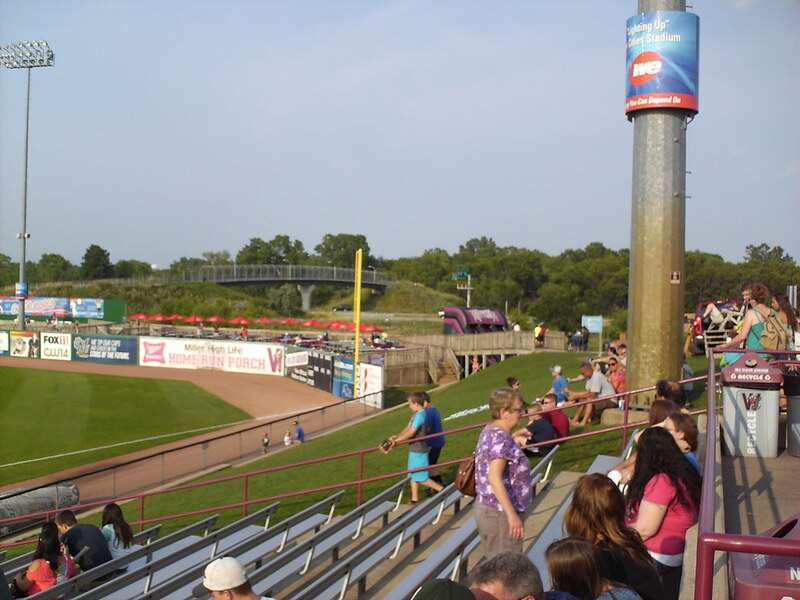 A pedestrian bridge leads over the highway to the ballpark. 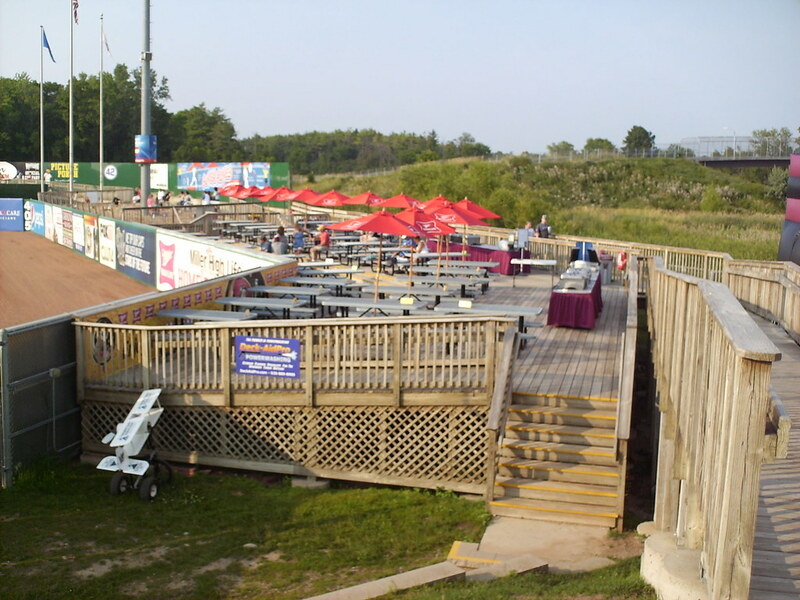 The home run porch party deck behind the fence in right field. 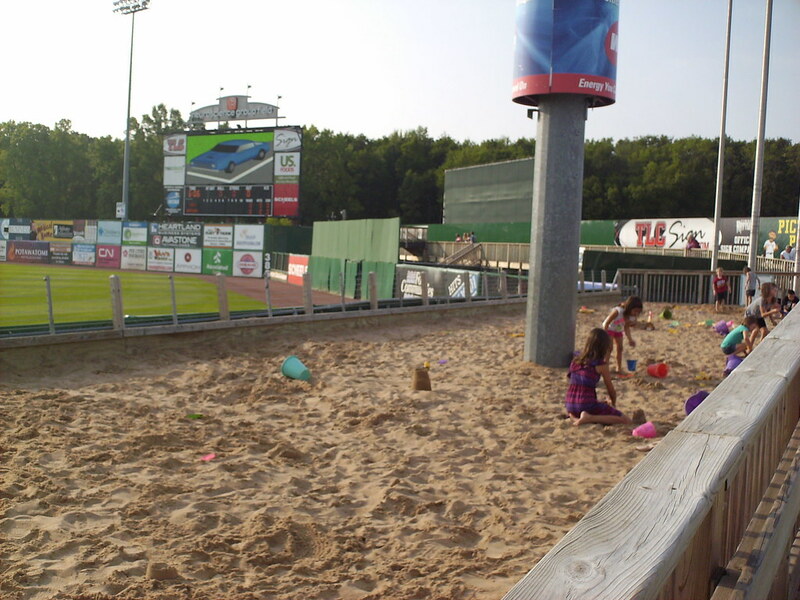 Fox Cities Stadiums features a sandy beach play area for kids behind the center field wall. 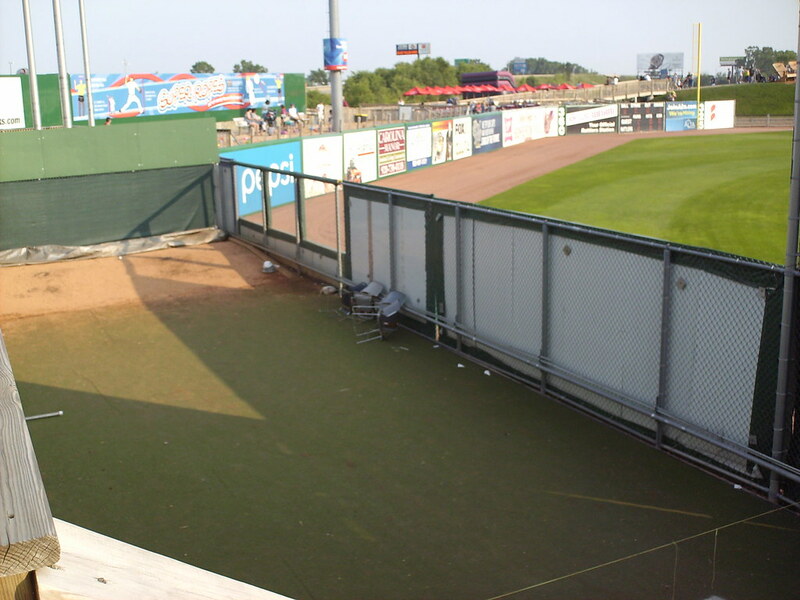 The bullpens sit behind the wall in left center field, where the chain link fence lets pitchers watch the game. 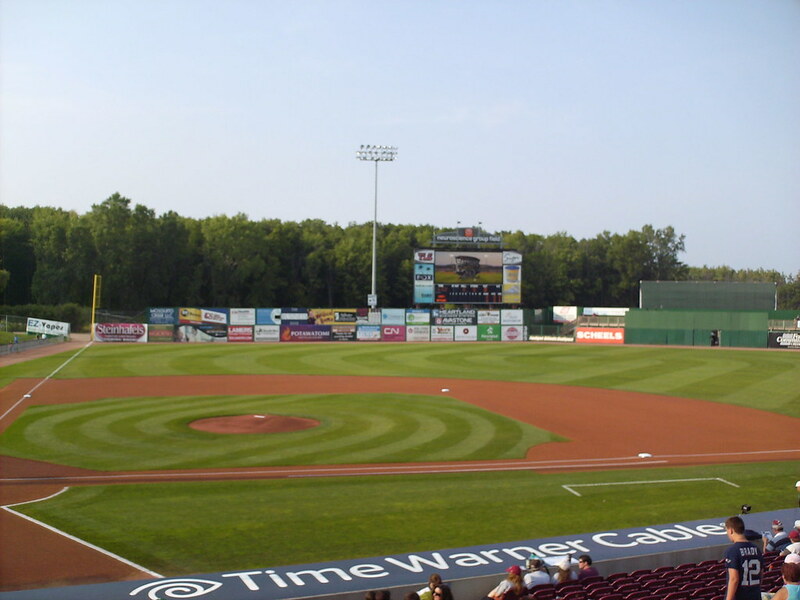 The curves and corners of the outfield fence. 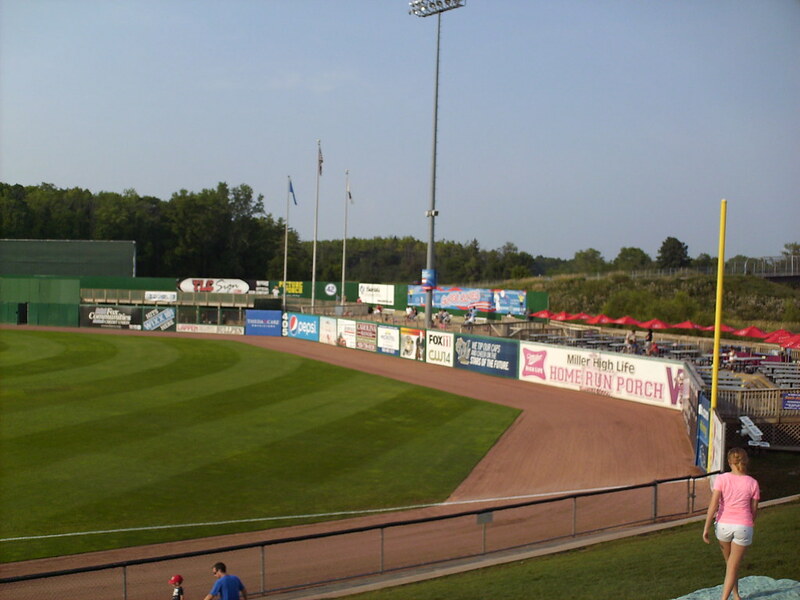 An auxiliary scoreboard sits on the wall next to the right field foul pole. 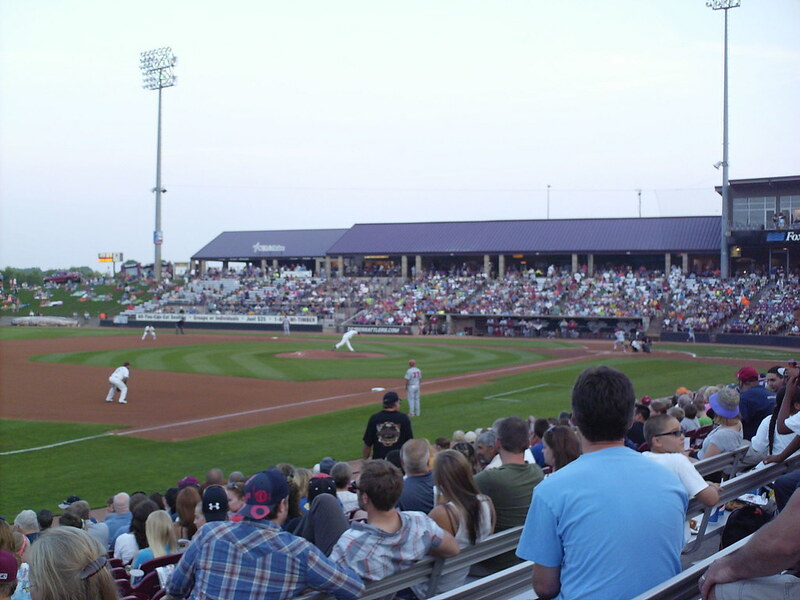 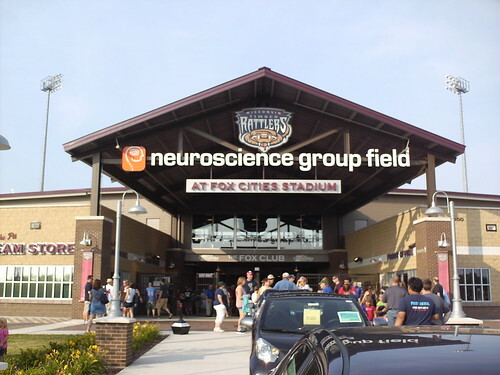 The Wisconsin Timber Rattlers on the field during a game at Fox Cities Stadium.